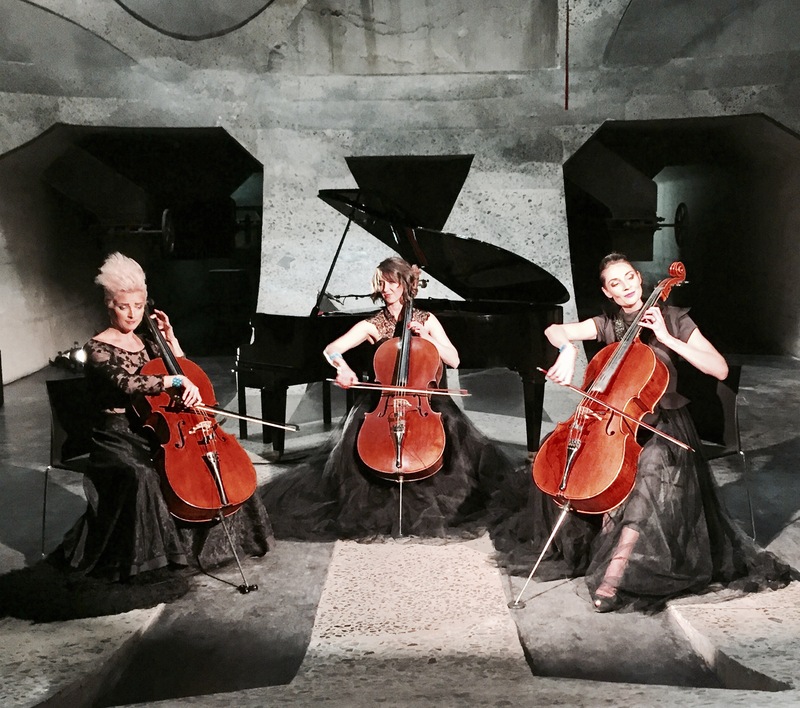 Rosanthorn Electric Cello Trio combines the talents of Dorette Roos (Cape Town Philharmonic), Carol Thorns (Electric Cello Pioneer and SAMA Nominee) and Anjulie Nock (Cellist and Composer). 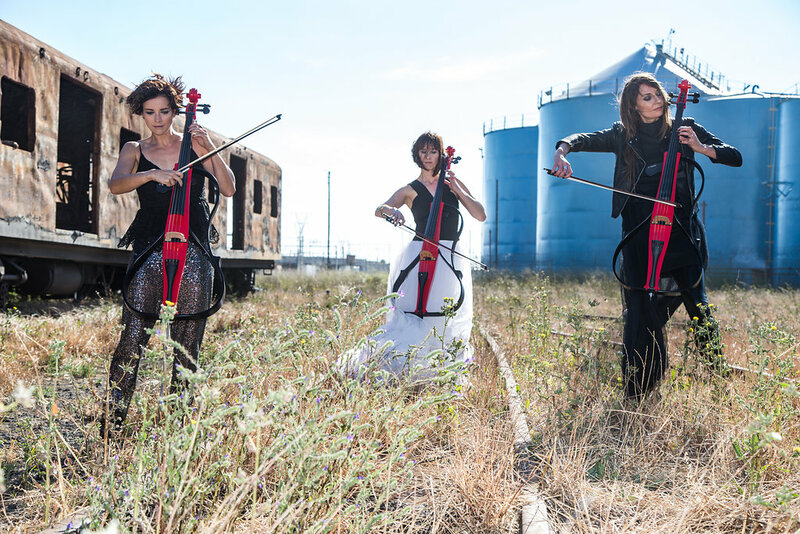 This world-first all-female electric cello trio has released their first album (self-titled – is available on Itunes and www.rosanthorn.bandcamp.com). 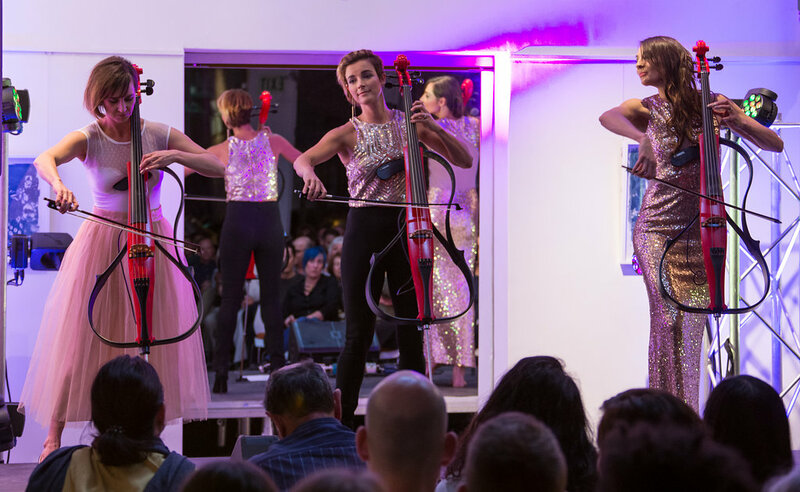 These three cellists share an exciting vision for the Cello – to revisit and re-position an instrument that is often overlooked. The result is an act that leads the way in the electric string genre. 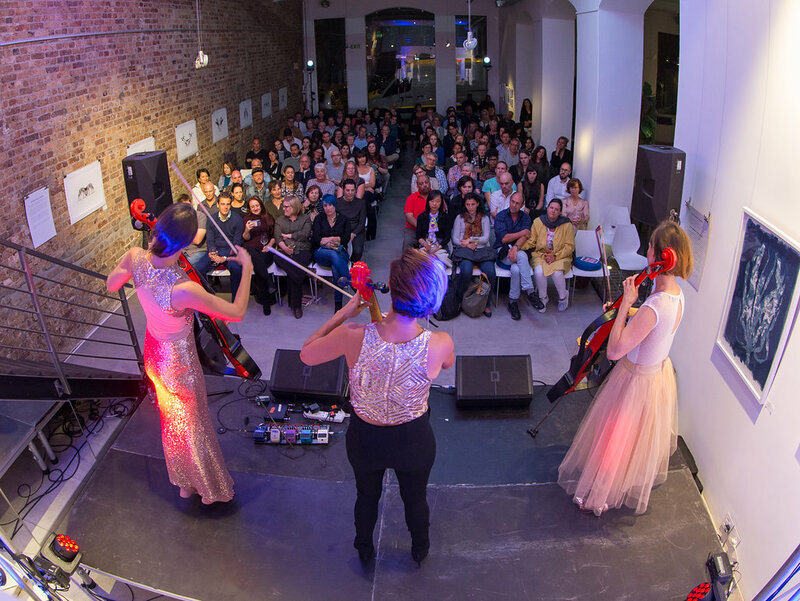 This all-female electric cello trio released their first self- titled 6 track EP in April 2017 (available on Itunes and at www.rosanthorn.bandcamp.com) Their album launch parties in Plett, Cape Town and Somerset West in 2017 were and instant success and tickets have been sold-out for all their public events to date. 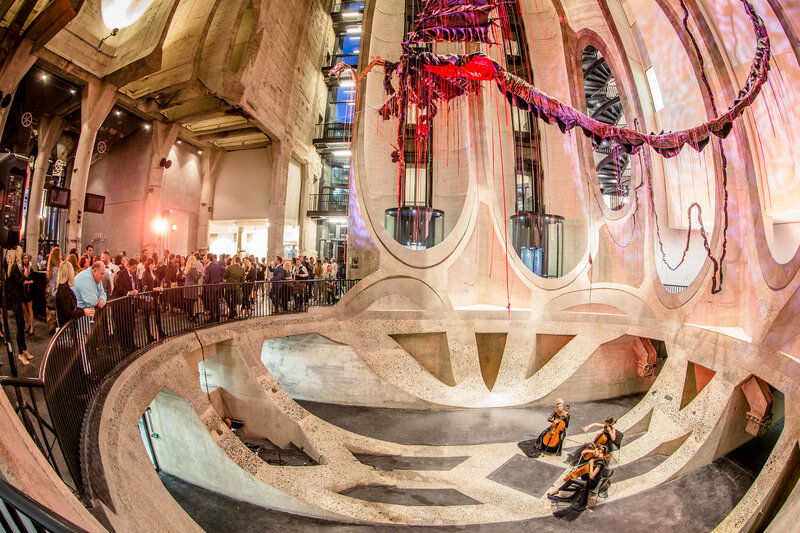 Rosanthorn has made their mark in a very short space of time by featuring at all 3 launch events of the Silo District’s new Zeitz Museum of Contemporary Art Africa. 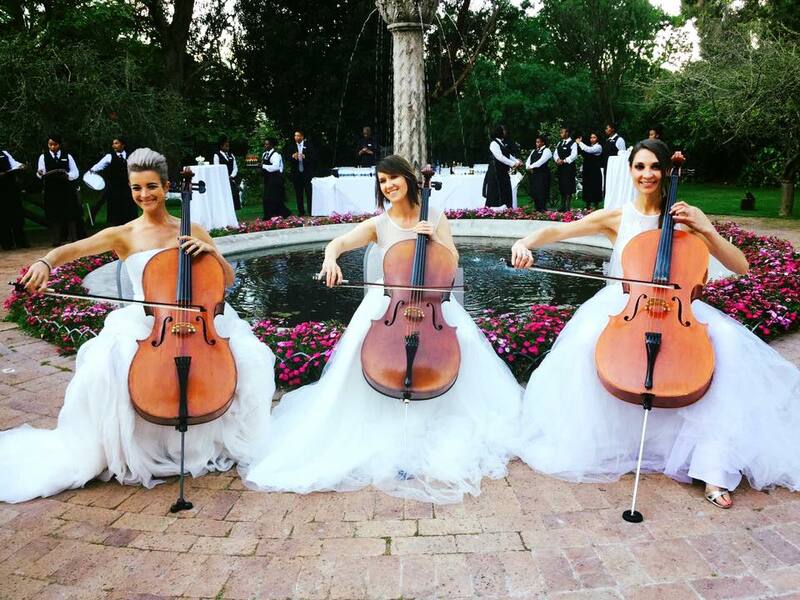 Their acoustic cello set in this magnificent space was a triumpth and has positioned Rosanthorn as a sought-after new act in SA. 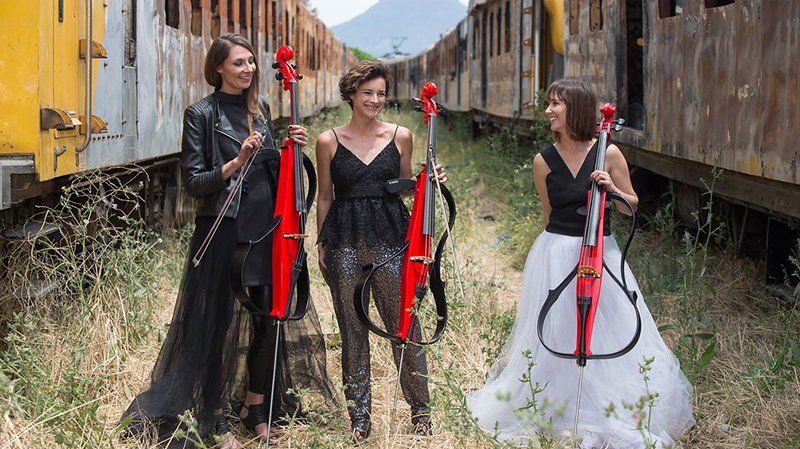 Rosanthorn have set out a compositional and technical journey to explore all that the Cello has to offer across multiple genres and timbres, with the help of South Africa’s top composers and producers. 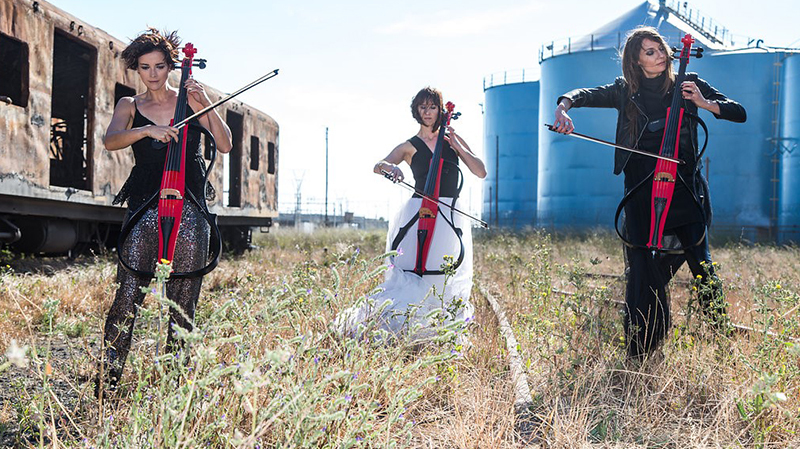 Their repertoire includes recordings and re-interpretations of works as varied as Vivaldi’s Double Concerto in G Minor, Leonard Cohen’s Hallelujah, and Imogen Heap’s Hide and Seek. Anjulie Nock has composed new works such as Night Journey (with a stirring Game of Thrones feel) and an original Tango (think Scent of a Woman for Cello). The Parting, by Helmut Meijer, is a reflective, stripped-down, soulful composition which inspired their first music video.